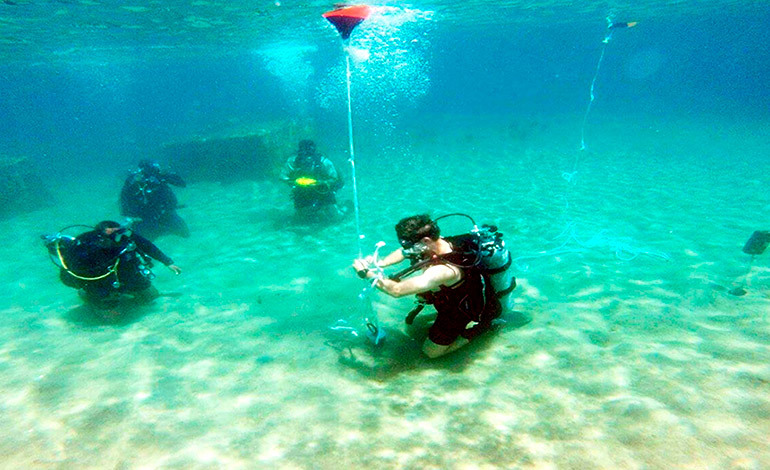 A group of soldiers is trained strongly as military combat divers to participate at a regional level in a contest in which Honduras will be based. The team of 25 military officers develops high capacities in students for operations focused on the underwater environment, ]=s, submerged ships, inspections of underwater structures, demolition explosives and performing hydrographic survey analysis, among others. This training is physically one of the most demanding that is known in the military field and applicants must pass, during 8 weeks, rigorous tests of physical demand, on land and water. Reportedly, in the Ministry of Defense, in the first three weeks, applicants must achieve confidence and self-control in the water and mastering tactical swimming style as a complement to physical skills. They also acquire knowledge about: human rights, history of diving, decompression diseases, physics applied to diving, physiology of diving, explosives, demolitions and maintenance of diving equipment. During the following five weeks the degree of difficulty is intensified with the first dives in open water, day and night, underwater swimming and surface up to four kilometres, regardless of sea conditions. Prior to the completion of the same perform confidence tests such as: swimming with ties, equipped and not underwater equipment, rescue victims, descent without equipment to 60 feet and simulation of critical emergencies under water. In the end, the students meet the duathlon test, as a demonstration of their physical capacity running from the naval complex of Puerto Castilla to Trujillo; and swimming back across the bay to the Diving School, where their combat diver badge is imposed on them. The training is developed based on the agreements of the Central American Armed Forces Conference (CFAC), exchange of training between member countries that allows the military of Guatemala, El Salvador and Nicaragua, to join 25 Hondurans who are trained to integrate elite groups of naval special forces. Have You Ever Seen Manta Rays Doing Something This Cute?